health nutrition resources, Housing resourses, door prizes and more. Lunch and transportation available upon request. Please RSVP to 617-625-6600, ext. 2300. Mohegan Sun – Monday, October 27th – For a fee of $25.00 you receive your transportation, $10.00 Food Coupon and $10.00 Free Bet. Check in times are 8:00 A.M. at Holland Street and 8:15 A.M. at the Ralph & Jenny Center. Approximate return time is 8:00 P.M. Please contact Connie at 617-625-6600, Ext. 2300 for more information or to reserve your spot. New York City – Saturday & Sunday, November 1st & 2nd – For a fee of $174.00 per person double occupancy or $249.00 per person single room you will receive your hotel room & motor coach bus transportation. Departing from the Ralph & Jenny Center at 5:45 A.M. on Saturday the 1st with an approximate return time of 7:00 P.M. on Sunday the 2nd. Planned stops at St. Patrick’s Cathedral and Macy’s Department Store. There is never a lack of things to do or see in NYC. Seats sell fast and are limited. A $50.00 deposit required upon reservation. For additional information or if you have any questions please contact Connie at 617-625-6600 Ext. 2300. Thanksgiving Super Bingo: Thursday, November 20th – 11:00 A.M. to 3:00 P.M. at our Ralph & Jenny Center – 9 New Washington Street. Your $10. Fee includes lunch, coffee, dessert, cards & prizes. Come & have a fun filled day! Limited seating and transportation available so please call Kim at 617-666-5223 to reserve your spot or if you should have questions. Hu Ke Lau & Bright Nights – Tuesday, December 16th – Are you ready for an unbelievable day? Departing the Holland Street Center at 9:30 A.M. and the Ralph & Jenny Center at 9:45 A.M. with an approximate return time of 8:00 P.M. For a fee of $58.00 you will enjoy a delicious lunch at Hu Ke Lau in Chicopee with a choice of Prime Rib or Scrod. Then you will be mesmerized by the beautiful dancers, soothing music and colorful costumes in the after lunch show. It will be as if you were spending the holiday season in Hawaii. (Time and weather permitting a side trip to the Holyoke Mall will follow the show) Followed by a spectacular illumination tour through Forest Park – more than 2 miles and over 500,000 lights that will take your breath away. Please contact Connie at 617-625-6600 Ext. 2300 to RSVP, with your lunch choice or if you have any questions. Resort Casino, Atlantic City, NJ – Sunday, January 11th – Tuesday, January 13th – For a fee of $179.00 per person double occupancy or $259.00 single room you receive motor coach transportation, 2 nights lodging at the resort, $25. in slot dollars, 2 buffets and a show if available. Free snow insurance: If the snow is blowing, we are NOT GOING! We like an exciting time but at the Casino NOT on the road. If road conditions are hazardous, this trip will be rescheduled to the following week. Check in time is 6:30 A.M. at the Ralph & Jenny Center on Sunday the 11th with an approximate return time of 9:00 P.M. on Tuesday the 13th. A $50.00 deposit per person is due on or before November 15th. Please call Connie at 617-625-6600, ext. 2300 to RSVP or if you have any questions. A $15.00 fee is required along with a RSVP so please contact Connie at 617-625-6600 Ext. 2300 to make your reservation or if you have any questions. The Fall Foliage trip to East Hill Farms scheduled for September 30th is SOLD OUT. The trip to the Taj Mahal Resort in Atlantic City scheduled for October is SOLD OUT. Halloween Super Bingo scheduled for Friday, October 31st is SOLD OUT. The monthly Hanscom BINGO for September has been CANCELLED. The Mobile Farmer’s Market is at our Holland Street Center every Thursday throughout the summer from 1:00 to 3:30 PM. All our Centers will be closed on Monday, October 13th for Columbus Day. LGBT Lunch – Due to a holiday, Columbus Day, there will be no LGBT lunch in October. The next LGBT Lunch will be Monday, November 10th. More information to follow. LGBT Advisory Group – Due to a holiday, Columbus Day, the monthly Advisory Group meeting has been changed to Tuesday, October 14th at 4:30 P.M.- for this month only. We are always looking for new members and would love to have you. LGBT Dinner & Movie – Monday, September 15th – 5:30 meal time – 6:30 movie time –September’s movie is “Shelter” and back by popular demand is pizza & salad for dinner. $5.00 fee. Must RSVP by 10:00 AM on Monday, September 15th. Men’s Group – Meets the first Tuesday of each month from 10:30 to 11:30 A.M. This group is led by our volunteer, Norbert DeAmato. Are you recently retired? Looking to connect with other men in the community? Join our men’s group where you can connect with old friends and make new ones. All men 55 and over are welcome. Come chat about what is on your mind! If you have any questions or require additional information, please give us a call at 617-625-6600 Ext. 2300. Caregiver Support Group – Meets the third Tuesday of each month from 6:00 to 7:30 P.M. Our Social Worker, Suzanne Norton, leads this group. Are you caring for a parent, relative, spouse or close friend? Feeling isolated or overwhelmed? You are not alone! Come share your experience and practical support. Open to all and new members are always welcome. If you are interested in joining, have any questions or require additional information please call 617-625-6600 Ext. 2300 and ask to speak to Suzanne. Veterans Group – Meets the third Monday of each month from 9:30 to 10:30 A.M. Our Social Worker, Suzanne Norton, leads this group. Are you a veteran? The Veterans Group is the perfect opportunity to socialize, have solidarity, to reminisce and to meet other veterans. If you are interested or require additional information, please call 617-625-6600 Ext. 2300 and ask for Suzanne. Low Vision Support Group – Meets the second (2nd) Tuesday of each month from 10:30 to 11:30 A.M. Our Social Worker, Suzanne Norton, leads this group. Do you know someone who has trouble seeing? Do you have low vision? Join our Low Vision Support Group for educational and informative information and peer support in a confidential environment. Lunch and transportation may be available on request. Please call Suzanne at 617-625-6600 Ext. 2300 if you are interested in attending, have any questions or require additional information. Current Events Group – Meets every Thursday from 10:00 to 11:00 A.M. Our Social Worker intern, Simone Martell, leads this group. Join a group of your peers to discuss current events. Please call us at 617-625-6600 Ext. 2300 for additional information or if you have any questions. Book Club – Meets the first Friday of each month from 10:00 to 11:30 A.M. Senior Project Manager, Janine Lotti, leads this group. Join this group to read and discuss a different book each month. In most cases, copies of the book are available in the COA office. Contact Janine at 617-625-6600 Ext. 2321 or JLotti@Somervillema.gov if you require additional information. Gardening Club – Meets the second Monday of each month starting at 9:00 A.M. and running for an hour most times. Our volunteer, Vilma Sullivan, leads this group. A different topic each month ranging from gardening tips & secrets to inexpensive “greenhouses.” Please contact Senior Project Manager, Janine Lotti at 617-625-6600 Ext. 2321 or JLotti@Somervillema.gov if you have any questions or require additional information. Brain Games – Meets the first Tuesday of each month starting at 10:00 A.M. This group is led by our volunteers Eileen Jones & Jan Ciganelli. Engaging as a group in brain healthy activities. Proven that keeping the mind active can actually reverse the signs of aging and improve memory and cognitive functioning. Contact the main office at 617-625-6600 Ext. 2300 to sign up! English Conversations – Meets every Tuesday & Wednesday at 10:00 A.M. to 11:30 A.M. at our Cross Street Center located at 165 Broadway. Ana Price, our Cross Street Director, leads this group. No books, no tests, no stress – just a great group of older adults from all over the world who help each other to listen, speak and learn English. As part of our ongoing collaboration with the Somerville Fire Department, we continue to offer free smoke alarms / carbon monoxide detectors. Now, there is a limited number of Photoelectric Smoke Alarms with ADA Compliant Strobe available to residents who qualify on a first-come, first served basis. These smoke alarms are for residents who are hearing impaired or deaf, 60 years of ago or older, own or rent and are residents of Somerville. If you are interested in having one of these special smoke alarms / carbon monoxide detectors installed please give us a call at 617-625-6600, ext. 2316 or you can use our TTY number at 866-808-4851. 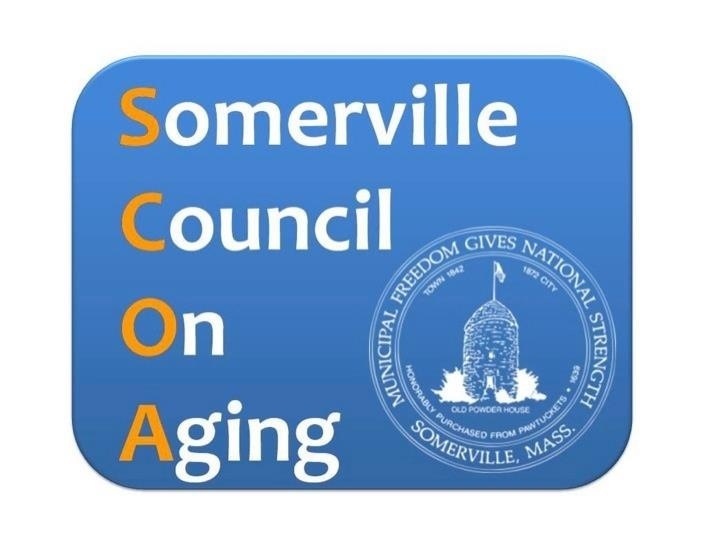 On Thursday, October 16th from 9:00 AM to Noon, the Somerville Council on Aging will be holding its 4th Annual Health & Wellness Fair. This year the fair is entitled “Mastering the Aging Process” and will be held at our Holland Street Center located at 167 Holland Street. If you are interested in being a participate or one of our sponsors please contact Suzanne Norton at 617-625-6600 Ext. 2318 to register or if you go to the SCOA’s portion of the City’s web site and go to the “Department Calendar” on that day you will be able to access a registration form. The Ralph & Jenny Center will remained closed on Mondays and will resume Monday activities on October 20th. Welcome to our centers! Everyone 55+ is encouraged to join us for fitness, culture, films, lunch and Bingo. Our centers are open to everyone from Somerville and surrounding communities. Check out our calendar and give a call with any questions or to make a reservation! 617-625-6600 ext. 2300. Stay for lunch and receive free transportation. Monday through Friday 9:00 A.M. – 3:00 P.M.
Monday through Thursday 8:30 A.M. – 3:00 P.M.